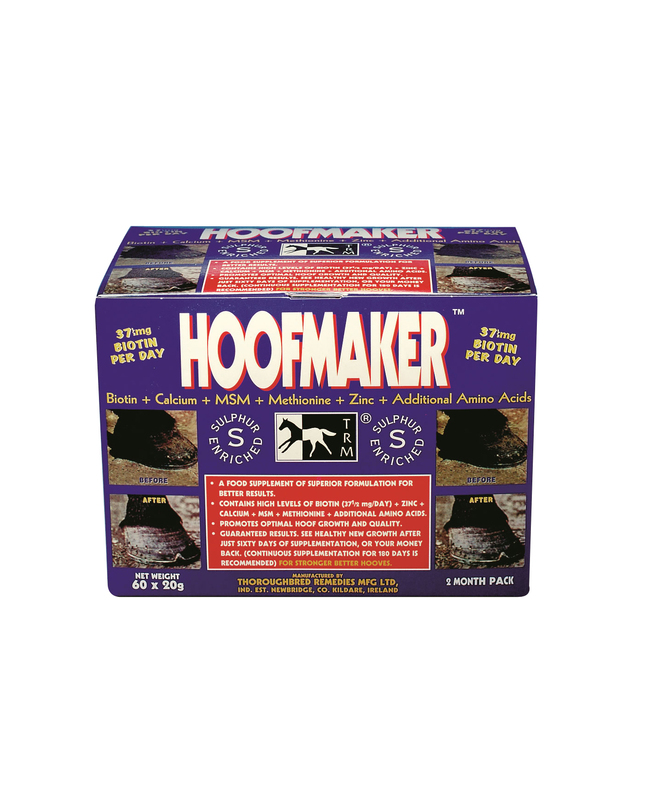 Hoofmaker contains high levels of Biotin and a concentrated source of sulphur rich amino acid methionine and the sulphur rich nutrient MSM which all aid towards the healthy growth, repair and maintenance of the hoof. 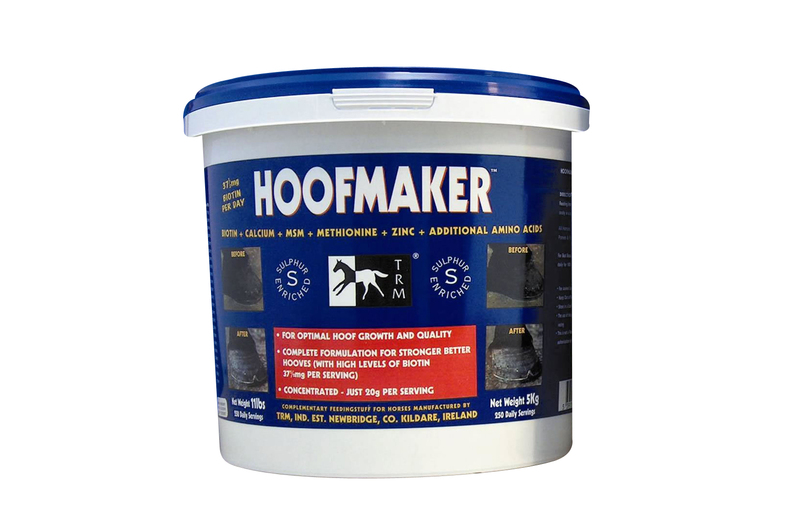 Calcium is also included and is essential for forming of the hoof wall. Feeding instructions: Adult horses: Feed 20g per day (one sachet) Foals and Ponies: Feed 20g every other day. Presentation: 60 x 20g sachets/ 500g tub/ 5kg tub 60 x 20g sachets will last a horse 60 days when fed one 20g sachet daily and will last Foals and ponies 120 days when fed one 20g sachet every other day. 500kg tub will last a horse 25 days when fed 20g daily and will last a Foal and Pony 50 days when fed 20g every other day. 5KG tub will last a horse 250 days when fed 20g daily and will last a Foal and Pony 500 days when fed 20g every other day.